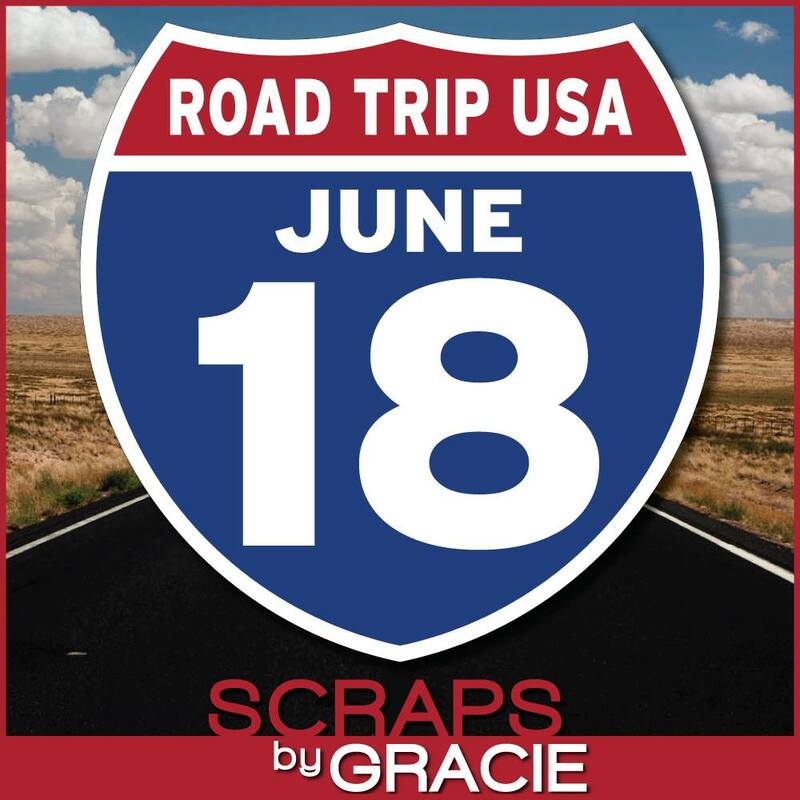 Today's hop is all about traveling this great country of ours and all the crafty projects are inspired by that travel theme. Make sure to start from the beginning if you've happened upon mine first. 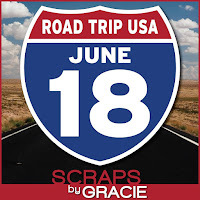 I'm almost at the end and I wouldn't want you to miss out on all the great projects and ideas for your summer road trips or the prize drawing. One comment will be chosen from all those left on the hop by June 30th for a Stampin' Up prize pack and the winner will be announced on next month's hop. Here is my project of which I decided to make a photo album. I have a travel paper pack from DCWV that I've had for a very long time and have been wanting to use it. I thought this would be a great idea and will become a keepsake for my children as we head to Tucson to visit the grandparents this summer. The album is called Carina's Essentials Album 4 x 6 vertical bracket and can be found in the Silhouette Store. Is was designed by Carina Gardner and the video on how to assemble it can be found on her blog. It's a quick basic album but what I liked about it is that it will hold twelve 4 x 6 picture or less depending on if you want to use the back side of the pull out for journaling. You can embellish each individual pocket but I like the paper so much that I wanted to leave the pictures visible on each page. I used three different shades of blue for the pull outs. I wanted to add something to the front but didn't want to cover up all the words and pictures so this little brass car and red twine seemed to be the finishing touch I was looking for. I added a binding and extra card stock to the points so that they are stronger and will hold up longer. I had to do some measuring to figure out the binding and manipulate the file so I only had the tips to cut out but it was easier than I thought. great mini! I have that same paper, great idea for it! This looks wonderful! I love that you added that little car to the front! What a cute photo album! I love the cover and the closures! Great job. I am really getting inspired by some of these mini albums to make some myself. Yours looks like a good one to try. love your mini album! great pps and cuts! I love this idea. Great job! Really cute album. Love this idea. Thanks for sharing. Cute idea, nice to carry with you to share a few photos with friends at work or other places! Love! I have that file and haven't used it - now I am going to cut some out for the grands for their summer vacas! Such a cute project idea! TFS! What a cute album I have never done one of these! I may have to try it! That is a cute album! One day... I'll figure out my Silhouette... and take a trip to the Silhouette Store, too! lol! Great hopping with you. I love mini albums, and this one is AWESOME!!! Travel albums are a fave of mine! Great job! This is sooo cute, I love when I can find new ways/things to use my Silhouette for!!! Those papers are great too.